Although you might be putting a ton of effort into eating healthy, some of those so-called “health foods” may not be sending your diet in the best of directions. 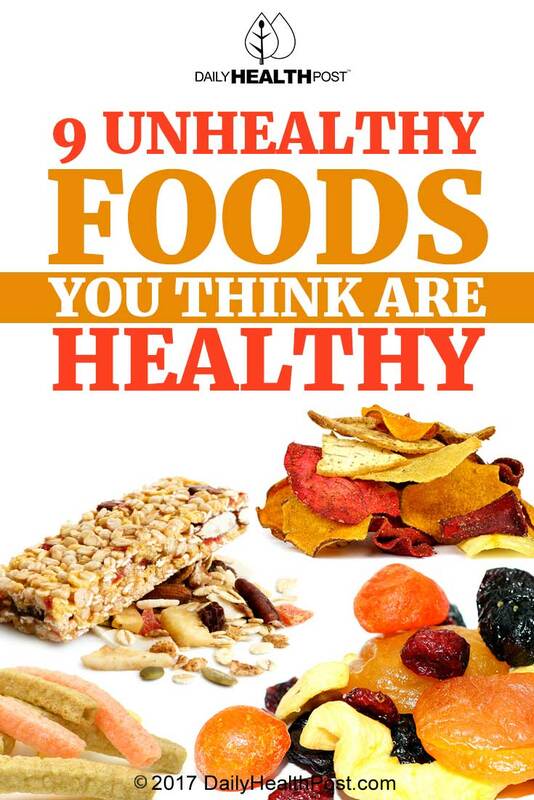 Read on to find out which foods sound healthy, but really aren’t. At first glance, these breads sound like a good option – packed full of whole grains, and definitely better than white flours. And that would likely be true if they were, in fact, whole grain. But it’s important to check the label. Often, breads that are marketed as “multigrain” or “whole wheat” still contain “bleached” or “unbleached enriched flour” as their main ingredient, meaning that there might be whole grains in it but it’s not a fully whole-grain bread. 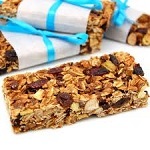 By themselves, energy bars aren’t awful if you choose one that has a good combination of natural ingredients. However, when you start snacking on energy bars in between meals, that’s where the problem starts unless you’re looking to bulk up. Let’s take a Chocolate Chip Peanut Crunch Clif Bar, for example – organic, whole grains, a good ratio of protein to carbs. But one bar contains 7 grams of fat and 240 calories. Similar energy bars can pack a lot of calories and fat into your day if you use them as snacks rather than meal replacements. While dried fruit can be a great source of nutrients, it’s easy to totally overdo it because they lack the water content of unprocessed fruit. And that means tons of sugar – just one serving of raisins, for example, contains 24 grams. It’s true that peanut butter contains a significant amount of fat, but for the most part, it’s healthy fat. Reduced fat versions, on the other hand, contain less fat, but it is often replaced with hydrogenated vegetable oils (linked with heart disease) and carbohydrate-packed fillers like maltodextrin. With smoothies, the devil is in the details. While a balance of veggies, fruits, and proteins can make a very healthy smoothie, those that you can buy on the go are often packed with too much fruits and too little veggies, which translate to very high sugar content. Often touted as a healthy lunch option or quick protein-rich snack, packaged turkey can be a healthy option if you look for a low-sodium option that doesn’t contain nitrites. Otherwise, you may be doing a number on your heart health. Chips made of vegetables! It’s a miracle! Not so fast, unfortunately. Leading brands, like Sensible Portions Veggie Straws, are in reality nothing more than potato flour with a little spinach and carrot added for color. It’s true that they do contain somewhat less fat than potato chips, but they’re not healthy by any means, and a baked potato chip would contain far less fat. A salad you make at home might be a healthy option, but salads don’t get free health passes just for containing veggies. Creamy dressings, for example, can add tons of fat and sodium, and so can cheeses and meats that you might add for protein. Fast food and restaurant salads are even worse, with some containing up to four times as many calories as a Big Mac. The most recent FroYo craze has focused on the health benefits of this sweet treat, namely the probiotic cultures that can improve digestion. But while frozen yogurt might be a good alternative to a different dessert, it doesn’t mean that you should eat it willy nilly as a health food. A small serving of Pinkberry’s original non-fat yogurt, for example, contains 140 calories. Not bad, but toppings are key. While fresh fruit may not add too much to your yogurt, candy, chocolate, and bits of baked good quickly add up. Of course, not all frozen yogurts are created equal, so make sure you keep an eye out for fat and sugar content. Have you been tricked by any of these health food trends?